There are a plethora of skin problems that many of us our suffering from owing to increase in the level of pollution. One of the most common face problems is skin pigmentation. There can be a lot of causes that results in this condition. However, solutions to this problem are not complex or emote but practicable and feasible. We are here with a solution to this in the form of face packs. In this article we are going to discuss with you the Top 10 Most Effective Face Masks To Combat Skin Pigmentation. Also, we have mentioned the process to make these face packs at home that too in the easiest and most convenient time saving manner. These face packs are very effective to deal against this condition. You can easily prepare any of these at your home as most of the ingredients that re required are already there is your kitchen. It is just that you were not aware that these could be used this way as well. Potatoes are rich in enzyme that is called catecholase. Lemon is a natural bleach helpful in cleaning the skin blemishes. You simply need to mix the grated potato with lemon juice and apply the paste on your skin for about 30 minutes. Lemon acts is a natural bleaching agent while honey is helpful in moisturizing the skin and thereby making it supple. You simply need to mix two and make a paste. Apply in on your face for around 15-20 minutes and see the difference once you rinse your face. Apple Cider Vinegar helps to tone down the dark brown patches. Simply you need to add Apple Cider Vinegar to water and let it sit on your face for around 3-4 minutes. You must follow this 2 time a day for the entire month and see the difference. Vitamin E is the antioxidant while Multani mitti is a great source of minerals. Papaya on the other hand contains the papain enzyme which helps in skin whitening. You simply need to mix vitamin E Capsules, Multani Mitti, Papaya paste and water . blend these well to form a paste and apply it on your face for around 20-25 minutes. Turmeric is an awesome bleaching as well as an anti-bacterial while milk cleans as well as moisturises your skin by exfoliating your dark spots. You simply need to mix the two and let it settle on your face for around 20-25 minutes. You will be able to see the difference. Orange peel is rich in citric acid, a perfect bleaching agent while multani mitti, lemon juice, honey and milk are helpful in combating the skin blemishes. You simply need to add the aforementioned ingredients to make a paste and apply it on your face for around 25-30 minutes. You will be able to see the difference. Avocado is a great source of fatty acids in addition to vitamin C as well as vitamin E. Also, it contains oleic acid. 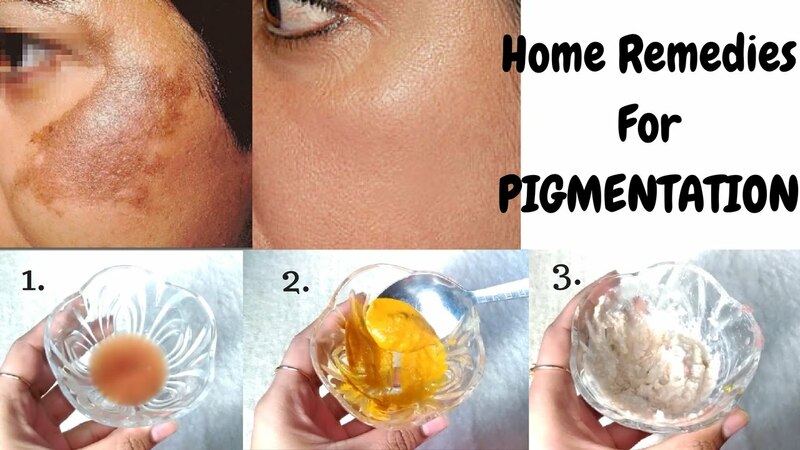 These ingredients together are very helpful against hyperpigmentation. You simply need to mix all these ingredients and let them settle on your face for around 20 to 30 minutes. You will be able to see the difference in the first application only. Sandalwood is a popular complexion enhancer in addition to being anti-tanning and anti-ageing. You simply need to mix sandalwood powder to turmeric powder and enough milk to make a paste. Apply this paste on your face and let it settle there for around 20-30 minutes. You will be able to see the difference soon. Almonds are the antioxidants rich in omega-3 acids making your skin radiant. Also, magnesium fights stress hormones. You need to mix almonds, honey, lemon juice and milk to make the paste. Apply the paste to your face and let it settle there for half an hour. All in all, these are the Top 10 Most Effective Face Masks To Combat Skin Pigmentation that you must know. You can try any one of these and share the feedback with us. In case you have a query related to any of these packs feel free to ask us. To share your ideas you can make use of the comment section below.